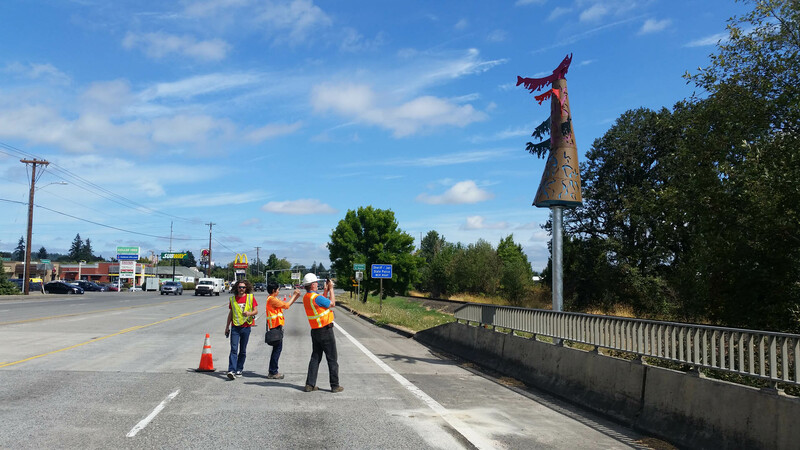 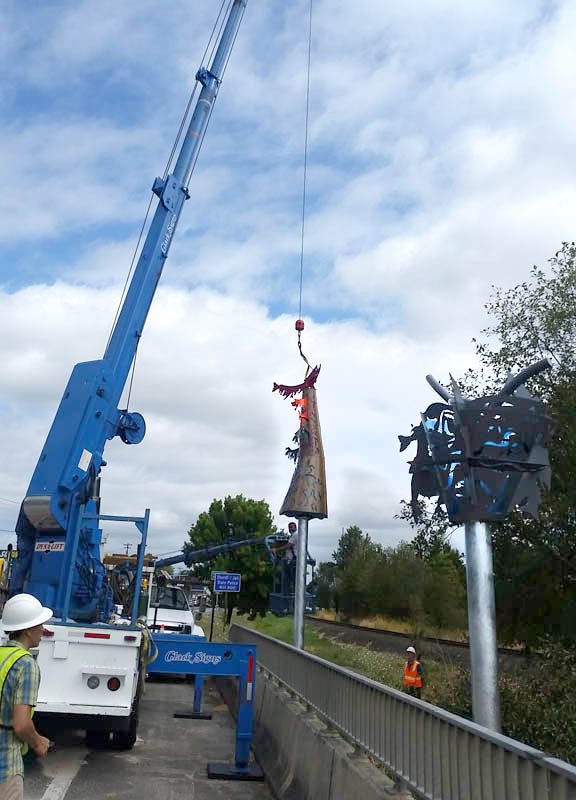 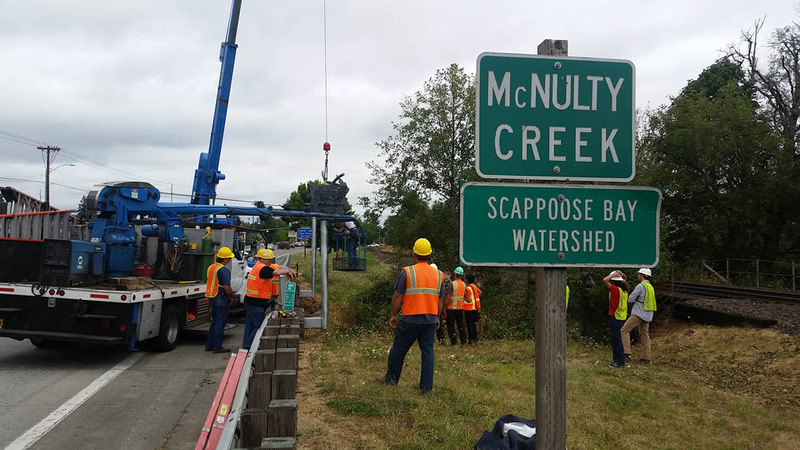 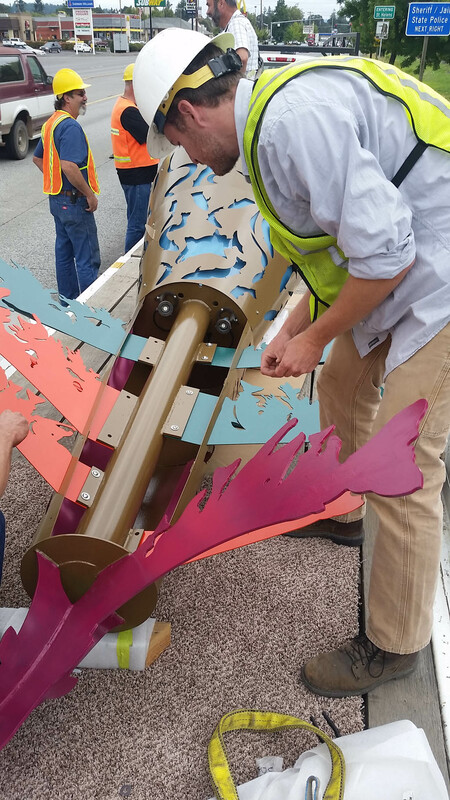 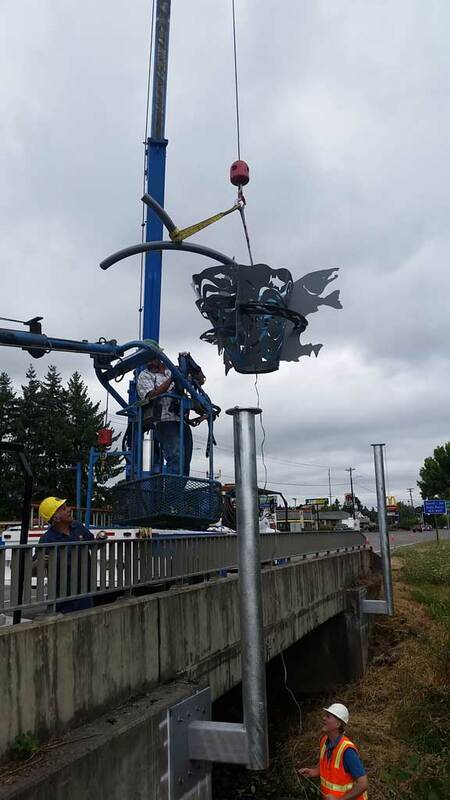 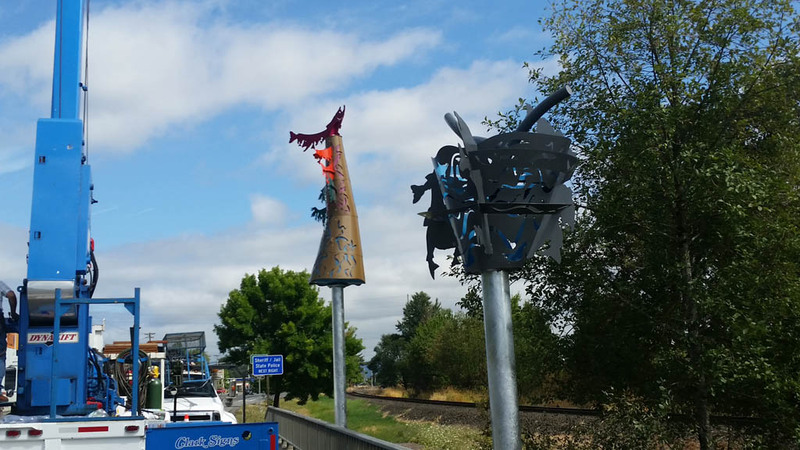 If you drive along US Highway 30 you will now start to see the Salmon Tree Cycle sculpture Gateway installed at the south entrance to city of St Helens. 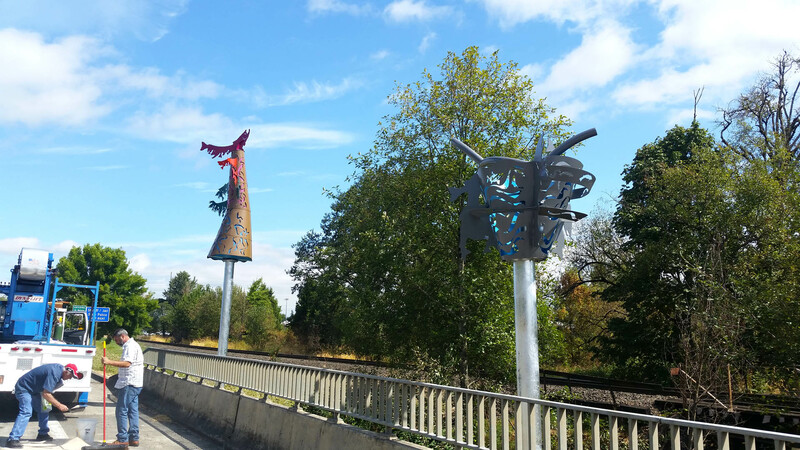 Very smooth installation thanks to all involved those who volunteered much of their time to the very helpful folks at the city of St Helens. 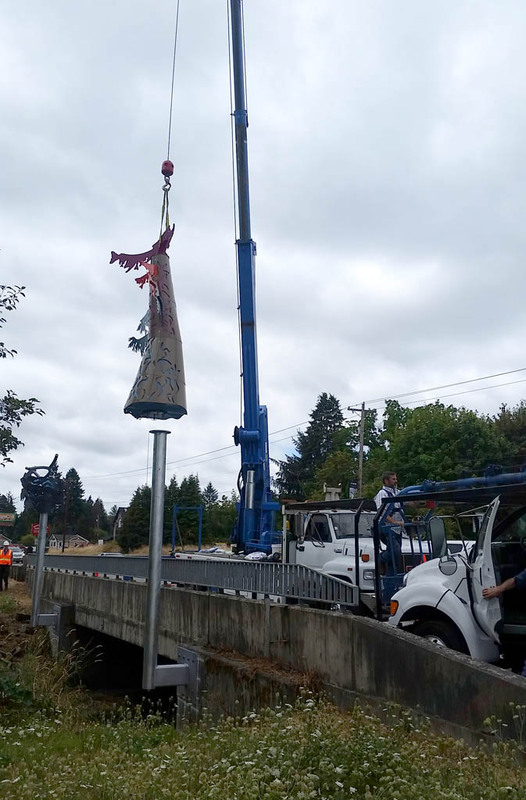 Looking forward to getting the lighting connected and turned on! 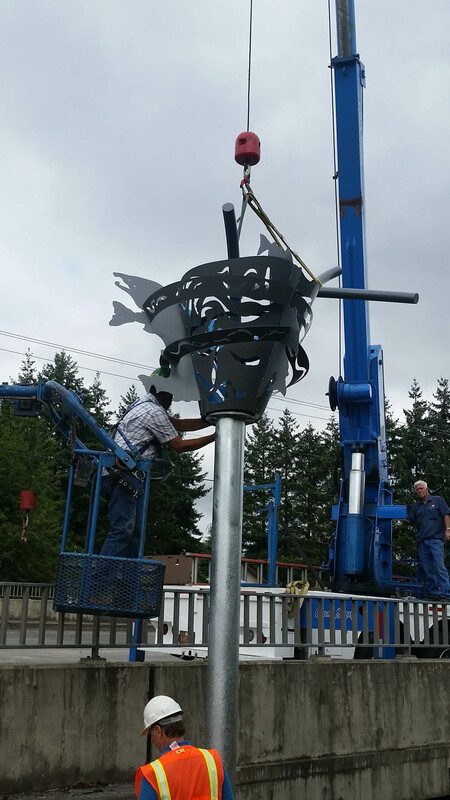 stay tuned for more and final install images.